Visit, a member of SAU council, has been in business process consulting and application development for 8 years. He is a co-founder of ‘Digital Wave Consulting’ company. Prior to that, he was a consulting manager of Magnus Management Consulting, an ERP and E-business implementation company, listed in Amsterdam Stock Exchange. 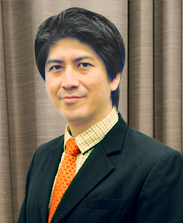 He has completed his Master Degree in Business Administration concentration in Management and Business Policy from Lehigh University and his Bachelor Degree in Computer Engineering from Chulalongkorn University.